Soft close hinges and drawers as standard on all Complete Kitchens. Don't forget to check the recommended items to go with your products. All of our cabinets come ready assembled making it quicker and easier for your kitchen installation. Easy online ordering at a touch of a button, it couldn’t be easier. Non-standard size units are available in most ranges. Colour coordinated cabinet boards are chosen that will best match your door and drawer fascia's. Modern or Traditional the choice is yours!. Replacement kitchen doors or a complete new kitchen, we have something to suit everybody. "A new kitchen does not need to be expensive. 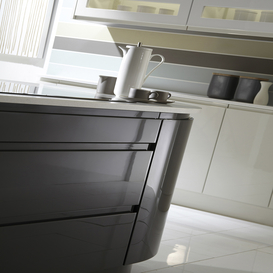 Our ethos is simple, to create beautiful kitchens that will look great at every budget level." 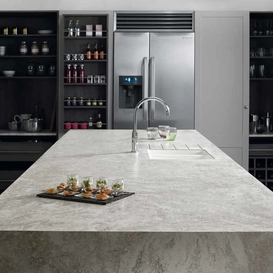 We offer kitchen ranges from many of the biggest distributors in the industry, including Burbidge, Second Nature, Kitchen Stori, TKC and 3D Solutions to name but a few, so we are confident we have a kitchen range to suit everyone. Our Complete Kitchens come with all the doors and drawers pre-drilled and attached to our rigid units. This will help save you time and more importantly money with your overall kitchen fit with your fitter and help alleviate any costly mistakes by drilling doors and drawers incorrectly. 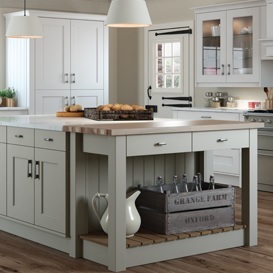 We have some of the greatest choices on cabinet configurations online, offering different depths; widths and heights to give total flexibility in the design of your kitchen. We can even make a cabinet to your own drawing and specification. And with totally flexibility on the choice of kitchen ranges, by finish, door design and in over 25 colour variations in our painted ranges, so there really is something for everyone. 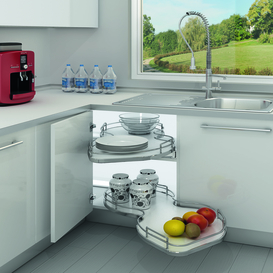 Never has it been easier for you or your builder to order and fit your kitchen. and function together with total flexibility, durability and overall luxury. service and to continue implementing the latest innovation in kitchen designs that impact the market place all at the most competitive prices. From the minute you place an order with us right through to the delivery of that order, our attention to detail won’t go unnoticed. We know it’s the key to our continuing success and that’s why we work so hard to guarantee your total satisfaction. 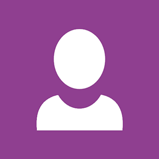 We are here to help make your online experience a happy one. We aim to make the ordering of your complete kitchen online a simple, trouble-free experience. Also all of our complete kitchens are available as replacement doors only, for refurbishment projects. At DIY Luxury Kitchens we are here to help every step-of-the-way, so don't just think that once you have purchased your kitchen our service stops there. We include in all our complete kitchen orders a briefing meeting on the day of your fit with either your fitter or builder or indeed yourself to run through the project in detail. And we continue to be at the end of the phone for any questions you or your fitter may have, or any assistance you may need every step of the way during your project. If for any reason you struggle at any point with working out a quotation online using our website, and would prefer some help, then please don’t hesitate to email your full list of unit components and quantities including the door range you require or any drawings you may have to our sales office. On receipt of your email we will happily quote you directly. Our product ranges constantly evolve. We offer, some of the most up to date and innovative products available in the UK market, all supported with the technical knowledge of our highly trained team. If there is something specific you are looking for but cannot find it on our website, then please don't hesitate to contact one of our team in our sales office with your requirements and we will endeavor to source it for you. However just because it isn’t shown on our website it doesn’t necessary mean we don’t stock it. At DIY Luxury Kitchens, we help you personalise your kitchen exactly the way you want it. With a wide range of cabinets, sinks, worktops, storage solutions and more to choose from, you'll be glad you decided to buy kitchen units online from us. Our designs are sophisticated and contemporary to help your home truly stand out from the crowd. 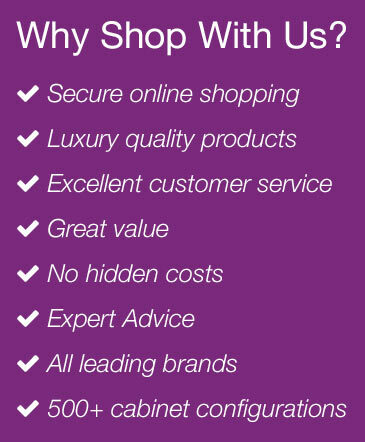 Shopping on our website is such an easy process too, and our staff provide great customer service if you do need any further assistance along the way. There might be many places to buy kitchen units online these days, but our customers tell us that we represent the best choice for a number of reasons. We have so many satisfied customers all over the country, which has earned us a great reputation. In addition to using the best quality materials that guarantee amazing products, we also aim to make our prices as affordable as possible. There are no hidden costs along the way and delivery of your new kitchen items will be carried out promptly. "It can be the smallest of details that are vital to a good kitchen design. Small changes and innovations allow bigger things to happen"
"Your home is your space, an area where you can unleash your inner desires and express who you are. We’re here to help make it possible." Our complete kitchens are also available as replacement kitchen doors, so they are perfect for that refurbishment only project. We are proud to offer one of the highest cabinet specifications and configurations from an online supplier and you can see the full specification by clicking here. All of your chosen doors and drawers come drilled with soft close as standard and attached to the cabinet; all ready to fit in place. This is included in the prices shown on our website and include VAT. 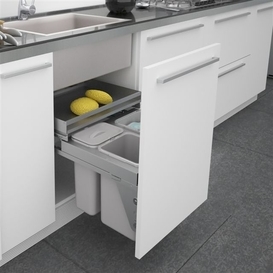 They come with luxury soft close hinges and drawer runners from top German supplier Hettich as our preference or Blum can be supplied if you prefer. We pride ourselves on NO hidden extras at checkout. We know how frustrating this can be, when you have compared prices and spent time on going through all the process of ordering when you finally get to checkout only to be hit with costs for soft close hinges, and draws etc, as well as weight priced deliveries. Our delivery charges are clearly shown on our delivery page and can be read before starting your ordering process. You will not be charged by weight at the end, once you have processed your order and entered all of your cabinets. "Beautiful kitchens are not just about functionality. They are about creating a cutting edge design within your home that is both practical and beautiful and that can deliver elegance and simplicity"
"Our aim is to bring you high quality products at a realistic price." We are delighted to bring you our Bathroom range, where we offer products that suit the traditional, modern and contemporary bathroom designs. 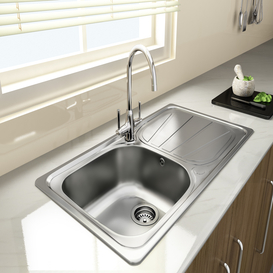 Many of our ranges are manufactured from many of the well known suppliers in the industry. 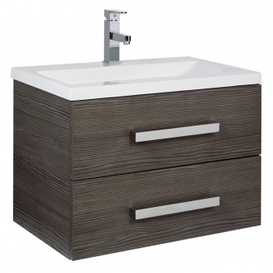 We not only offer a fantastic range of basins, taps and full bathroom suites, but also a full range of contemporary and traditional modular and fitted furniture. So whether your bathroom space is big or small, our range of products can offer you the versatility you require to create the perfect bathroom design. 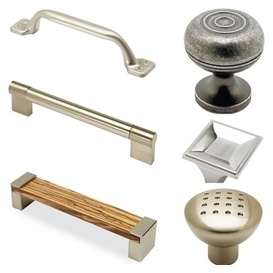 Or if you are just merely looking to re fresh your existing bathroom why not choose a coordinating worktop, a new tap or new handles, there is something in our ranges to suit everyone. We understand how important it is to get it right first time with your new bathroom, which is why we offer an easy ordering process, and pride ourselves on outstanding customer service. So please take your time to browse through our ranges and gain some inspirational ideas. Our sales team are here to help you every step of the way so please do not hesitate to give us a call should you require our help.